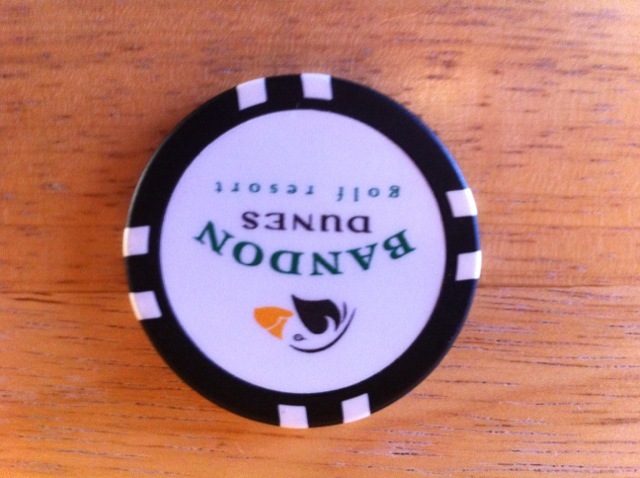 My friend Jerry went to Bandon Dunes a while ago and picked this up for me. 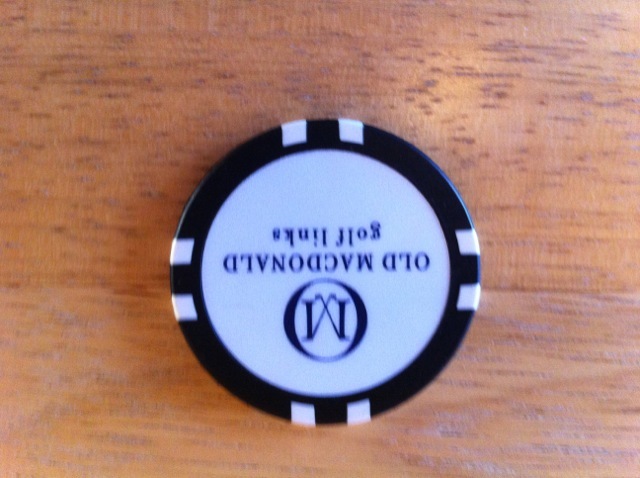 I think I’m going to bust out the Bandon/Old Macdonald poker chip ball mark for the first time this afternoon. What do you think? Like the poker chip ball marks? Too big and obnoxious? Yes. And yes. I’d put it my box of golf-course minutiae — never to be seen again! But that’s just one more in my endless series of impotent objections to the ubiquitousness of logos. Give me a U.S. penny. Or an Irish coin. It’s big and awful. And beautiful. I can’t stop looking at it…. No…I think they look goofy and they are really impractical. What’s wrong with a quarter or dime?